On Facebook, content producers are following the money, and as a result, one of the social giant’s most-hyped features of the past half-decade is going dry. According to the Columbia Journalism Review, Facebook Live usage among the publishers who were previously paid to post live-streaming content dropped by more than 50% in 2017. In 2016, Facebook pumped millions into its live video operation by paying a select group of publishers, including BuzzFeed and Vox Media, to produce Facebook Live content. To help those videos receive significant attention, the social site tweaked its algorithm to favor live video. The next year, Facebook decided to prioritize long-form original programming instead, and its publisher-bound money started flowing in a new direction. At the current moment, Facebook is much more invested in its Watch tab than its Live platform, so the increasing scarcity of publisher-posted streams is not a huge surprise. Even so, the degree to which Facebook appears to have given up on Live is notable, especially considering the millions of dollars spent on advertising campaigns to promote that feature. Ultimately, it seems as if many publishers didn’t get excited about Live, even as they were paid to use it. Last year, as the platforms usage began to diminish in the UK, analyst Matti Littunen told Digiday that “very few professional publishers did well on Live under the subsidies.” Around the same time, CNN GM of Digital Andrew Morse discussed his own company’s struggles with the platform. 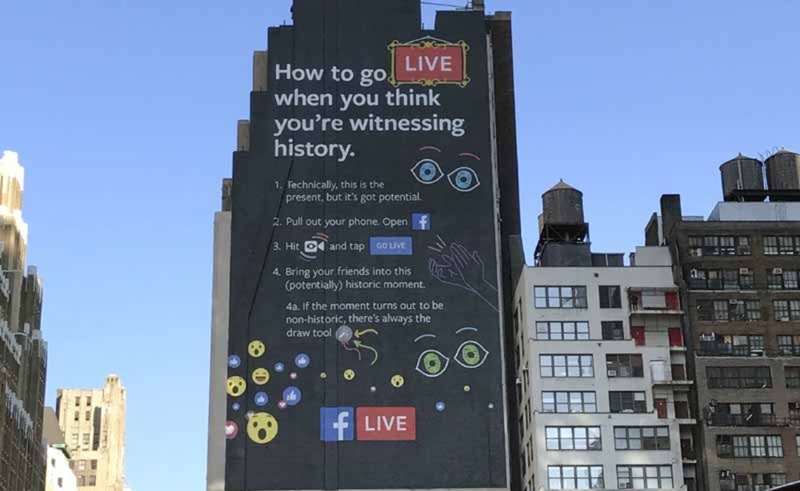 “It’s going to be hard for us to continue to do Facebook Live long-term if we can’t figure out how to monetize it, because we’re able to monetize our video really well in other places,” Morse told the Wall Street Journal. Right now, Facebook Live looks like a big experiment that hasn’t worked out, and with the social site prioritizing other platforms, don’t expect that perception to change. For a more detailed analysis of Live’s decline, check out the CJR report.